Well-lit rooms with wheelchair accessibility and modern amenities. Vikramaditya Hotels location keeps guests away from the busy station area but makes every important location accessible. The rooms have large windows which allow natural light inside and offer beautiful views of the area in the neighbourhood. They are well-equipped with amenities and have bright curtains and bright cushions surrounded by white walls. The property is wheelchair accessible and makes the comforts of staying here available to all. 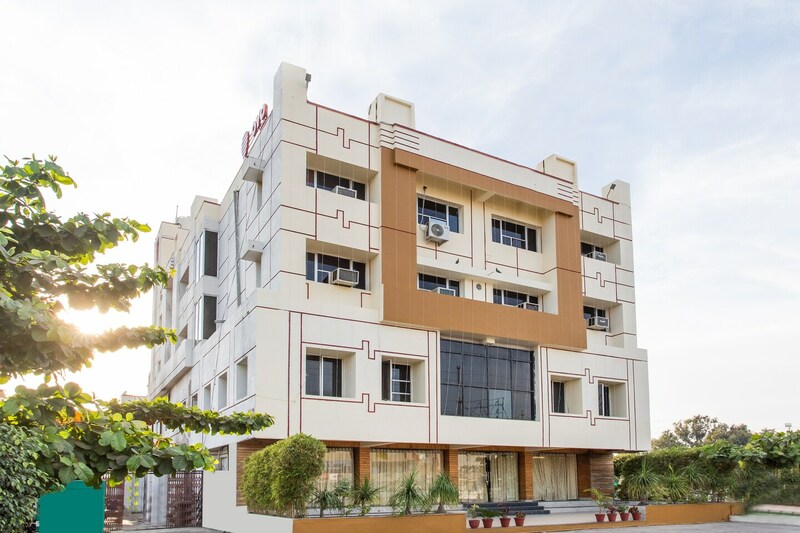 Facilities like free wifi, parking facility, in-house restaurant, conference room, banquet hall, and laundry service are available for the convenience of the guests. The property has its own conference hall and banquet rooms for the guests who are looking for a space to organize a meeting or a family function. CCTV Cameras ensure that the surroundings will be safe.